Hearing loss can interfere with a person’s social life in a number of ways, and trying to understand conversations in noisy, crowded places poses a frustrating challenge for many.  Most hearing aids on the market approach this problem by using narrow directionality to close down background noises and focus in on the main source of speech. This method does provide clarity, but it also deprives the brain of important context and sound stimuli. 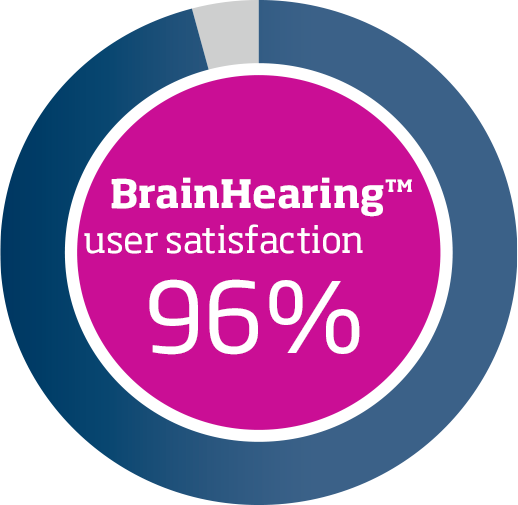 As a result, those with hearing loss are unable to have the more natural, dynamic listening experiences that the brain is well-equipped to process. The new Oticon Opn™ hearing aid (pronounced “open”) allows listeners to focus on speech without blocking out external noises, thanks to multiple advanced technologies which work together to support how the brain processes sound. It is a revolutionary approach that will give the wearer fuller, more meaningful listening experiences while still allowing for the clear understanding of speech. Preliminary tests have shown that the Oticon Opn™ could have significant cognitive benefits including: 20% less listening effort, 20% more capacity to remember, and 30% better speech understanding. With this new device, listeners will be able to have confident social interactions in noisy environments, while still experiencing dynamic, complex soundscapes in the world around them. The brain plays an even greater role in hearing than the ears do. With this in mind, Oticon Opn™ has been equipped with a number of technologies that work together to help the brain process multiple sounds at once. Guided by Oticon’s BrainHearing audiological approach, this device provides advanced directionality while reducing cognitive stress and allowing the mind to perform other important tasks. The exceptionally fast, precise Velox processing system supports how the brain translates and responds to different acoustic input, and helps the wearer to focus their listening with less effort in rapidly-changing soundscapes. OpenSound Navigator, which scans the audial environment more than 100 times per second, works together with Spatial Sound LX to effectively balance and locate sounds so that listeners with hearing loss in one or both ears can rapidly and accurately make sense of their surroundings. The Oticon Opn™ also offers a number of features that allow for advanced customization and an individualized audio experience, with less bothersome distractions. SpeechGuard LX and SoftSpeech Booster LX help to improve understanding and clarity in noisy places, while YouMatic LX helps the wearer to achieve the most fine-tuned, personalized listening possible, suited to their exact preferences and needs. WindNoise Management and Feedback Shield LX further aid in reducing unnecessary distractions and interference. The combined result of these features is that wearers will able to experience clear sound dynamics and natural communication, no matter the environment. For those looking for advanced internet connection capabilities, the Opn is a better choice than nearly every other hearing device on the market today. This sophisticated device allows the wearer to connect to and control a huge range of daily devices, from alarm clocks, laptops and smartphones, to security systems, televisions and gaming devices. 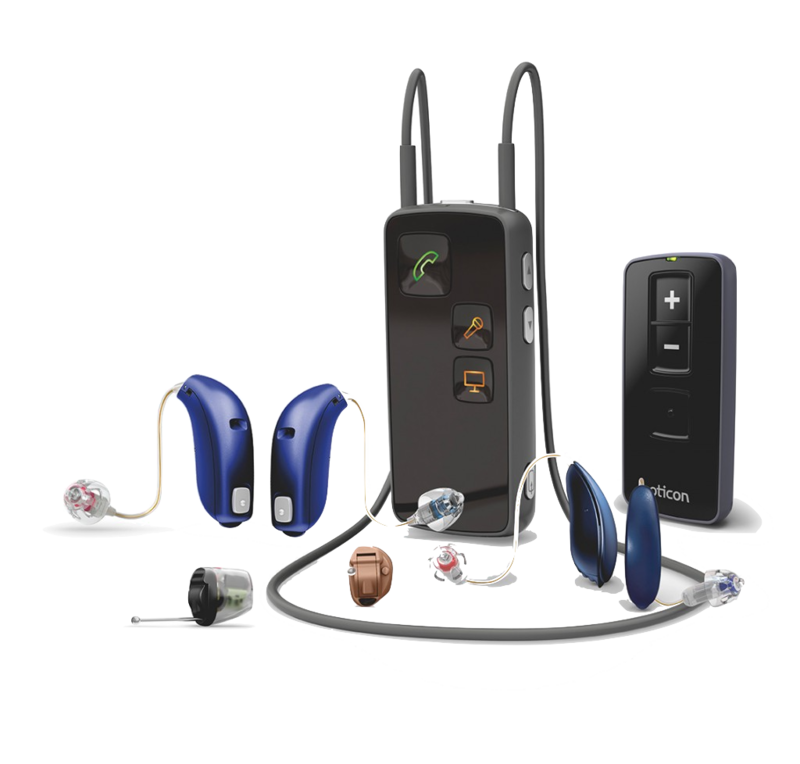 The Opn also features TwinLink™, the world’s first dual wireless communication system, which allows the wearer to experience connectivity and binaural processing simultaneously, resulting in a balanced acoustic experience without delays.